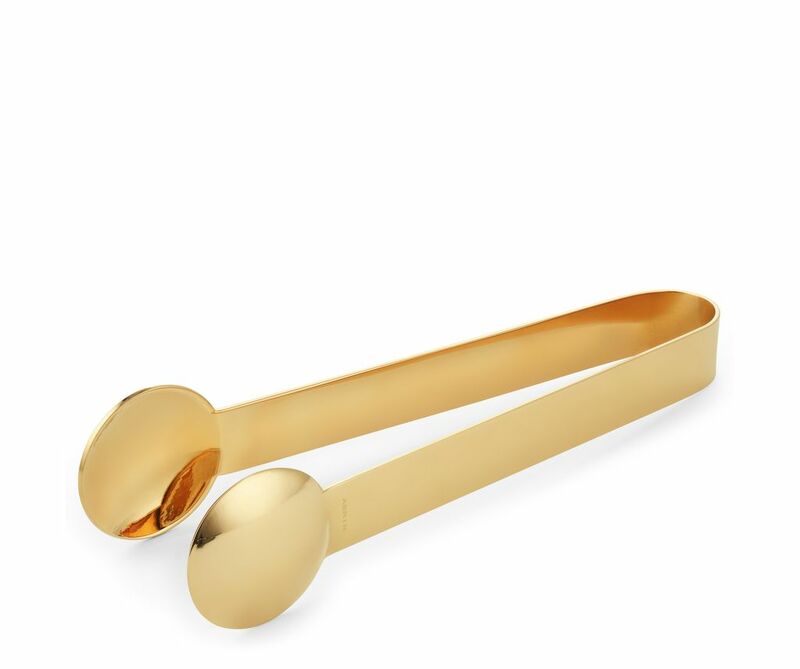 Minimal and stylish, with a hint of Art Deco, the Mattea Ice Tongs in gold are a sophisticated addition to a home bar. Pair with the Annette Cocktail Picks and Shagreen Ice Bucket when entertaining. The Mattea collection includes a spherical salt and pepper shaker and place card holders.